Below you can view all the homes for sale in the Irwin Place subdivision located in Conyers Georgia. 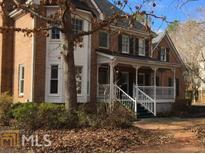 Listings in Irwin Place are updated daily from data we receive from the Atlanta multiple listing service. To learn more about any of these homes or to receive custom notifications when a new property is listed for sale in Irwin Place, give us a call at 404-998-4166. If Selling Agent Shows Your Client The Home Buyer'S Agent Gets 2% MLS#6529998. Homeland Realty Group, Llc..
New Exterior And Interior Paint! New Flooring! MLS#6522344. Bhgre Metro Brokers. It Boast Large Rooms And Beautiful Hardwood Floors Throughout The Main Level. MLS#8542485. Solid Source Realty Ga.
New Roof, Septic System Just Serviced, Hvac System About 4 Years Old. 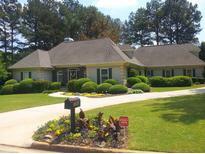 Voluntary Hoa, Swim/Tennis MLS#6509527. American Realty Professionals Of Georgia, Llc..
Home Needs Tlc, And Is Being Sold "As Is". MLS#8495094. Frazier Realty Services Inc.. Newly Renovated With Stainless Steel Appliances, Granite Counter Tops, Hardwood Floors. MLS#5975280. Nathans Realty.